When it comes to marketing, SaaS has it own set of rules. Prospects research and buy largely online, which means driving people into free trials and demos are crucial. Even when you’ve made a sale, that’s only the start; onboarding, churn rates, growth hacking and a wealth of calculations around return on investment make up the complex landscape SaaS marketers face. In recent years, selling software as a service has become the norm for both selling and buying software. Many buyers are over initial objections around security and control and have adapted this new model of buying software. The cost now to develop and market software has decreased, lowering barriers to entry and the way of updating SaaS with instant updates means there is often little differentiation between competing products. 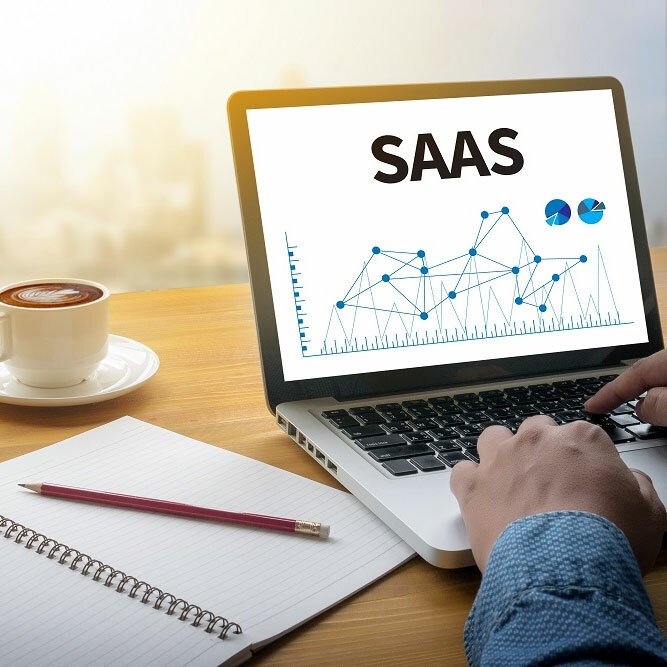 As a result, SaaS marketers have largely, and rightly, adopted digital marketing tactics – a good website, traffic from search engines, email campaigns and social media. Some have ventured into content marketing already, for others it’s on the to-do list. SaaS marketing success rests on laying solid strategic foundations, and this guide will draw on our experience working with SaaS businesses since 2009 to share critical insights for lead nurturing success. The broad scope of marketing means it’s impossible to cover every tactic in the space of a single document (or at least one that’s possible to read over a cup of coffee! ), so we’ve focused on 7 areas you may not have thought of in detail, to help you grow your SaaS businesses. Having said that SaaS marketing is unique, the principles for success remain the same bread and butter basics as any product. A prospect’s urge to buy is based on your solution solving their business problems, and educating them around that point relies on your marketing activity creating empathy and building appropriate messages about your technology’s capabilities. Add to this a clear call to action and you’re likely to stimulate a response. However, making the business benefit messages of your solution resonate means understanding the unique conditions of the SaaS market. The value proposition has changed, because it’s now less about the IT department acting in isolation; there are more decision makers in the technology acquisition process, and therefore the role of your marketing strategy is to advise several personnel within the company on the best course forward for any required tool. The emphasis is on how your solution can best deliver value to the entire company. As the audience focus has shifted to the executive level as a whole, your marketing key messages have to move substantially beyond finance and technology concerns. This is not something that can be addressed with a simple tweak to your approach – you need to strategically re-think the way your business markets its solutions. Either developing a strategy from scratch, or redeveloping legacy plans, will help you assess your competition, define your target market and establish your positioning and USPs. It will also enable you to define the technology buying lifecycle for your prospects, and map marketing activity against key moments. This may seem like an insurmountable task, but a good starting point is to plan all the marketing activity that you want to undertake in a month-by-month plan. This ensures your marketing is well thought through and avoids the pitfalls of being reactionary or ad-hoc. Importantly, it prevents activity from being perceived as tactical but without direction. The quickest way to ensure your marketing strategy is effective is to map monthly activity to an overall strategy – and this rests on understanding the cost of securing a new customer. Essentially, working out the cost of acquisition versus a customer’s lifetime value will tell you whether you’re gaining ROI. While there is no hard and fast rule, we recommend our clients aim for a LTV:CAC ratio of 3:1. Carrying out this calculation will tell you roughly how many leads you need to secure in order to meet revenue targets, however it doesn’t reveal at this stage which marketing tactics will deliver the greatest success. In the next section of this guide, we’re going to focus on what some of those marketing techniques are, and how best to optimise your activity around them. The website is the heart of any SaaS businesses marketing strategy and the shop window to your company. This means it cannot just look good – it has to convert leads as well. We recommend that you experiment with techniques for encouraging engagement with website visitors. This could be increasing the conversion rate for free trial sign ups, people booking a demo of the software or downloading content; you need to define what you want prospects to do as a result of visiting your site. One common misnomer is that getting greater results from your website means spending more money. However, what if we told you that you could double your website conversion rate, potentially without increasing expenditure? The key to achieving this is conversion rate optimisation on your website – working out what drives lead generation activity, so that you can carve up your marketing budget in a way that generates stronger leads through as web traffic. Don’t just add a free trial function to your website; split test the length of these complimentary trials to work out which one gets the greatest click throughs. Equally, change up the calls to action on each website page until you find which one achieves most traction. You may even want to experiment with the content on each website page, as sometimes stripping back to the fundamental information can generate better results than overwhelming users with multiple options. Drawing on experience, we increased the conversion rate on one of our client’s websites by 60% by simplifying the user journey. By removing two calls to action and re-designing the site to focus on just one. Once your website layout is optimised, your next challenge is to perfect the powers of persuasion around your product’s capabilities. It’s highly likely that your software shares similarities to competitor solutions; yes, you’ll have the odd unique feature and hopefully a USP to enable you to standout, but differentiation has many facets. Positioning your organisation as expert thought leaders to your target market is an excellent tactic for building ‘differentiation daylight’ between you and the competition. You need to create content that adds value around their key business challenges, and plays to your USP. In striving to become an authority, don’t foster an air of arrogance, aloofness or indifference by being one-dimensional, with the emphasis on highbrow content. You are trying to engage real people not business bots, so remember to soften the messages by using social channels such as blogs and Twitter. The informality helps to promote a conversation on the things that matter to the target market. It’s an invaluable source of market intelligence that helps you to develop more compelling content and focus on real points of concern. One SaaS customer we work with offers virtual switchboards to the SMB market, so we blog with posts such as ‘Use the cloud to make your home office look like a big business’, ‘How to record a professional message for your Virtual Switchboard’ and ‘3 ways a virtual switchboard can improve your marketing ROI’. These are great ways to open a dialogue and stimulate a conversation by touching on some likely pain points within the target audience. Also, remember that all activity should map back to your original strategy, so thought leadership should not be a one-off ‘shot in the dark’. The best way to establish your authority is to create a regular schedule of content to publish, and vary the formats to target prospects at multiple points in the buying cycle. Some may be ready to digest in-depth material; others may just find their attention captured for a few moments by a blog post. It all enhances brand awareness ahead of that crucial decision making moment. To you, your software is built on great technology; it’s in the ‘sparkly new’ cloud, it’s online, it’s cool. Generally speaking, nobody will care about any of that – unless you’re selling to IT people. You must bring your marketing messages back to earth and remember to focus on the customer benefits. Generally speaking, your prospects will approach technology buying with the attitude of ‘what’s in it for me?’. What are the benefits of your system to their business? What plus points does it offer to users? Why does it save people money or make them money? These are your marketing messages; avoid poorly defined buzz concepts and acronyms. Avoid leading with messages containing references to SaaS and cloud. SaaS products can take time to sell. They are not impulse buys; some of your prospects may come to the website many times before they contact your company or sign up. It’s highly likely that they are also regular visitors to competitor sites, so you need to keep your site moving forward – evaluating and updating as necessary – in terms of content, look and feel. Familiarity, open dialogues and trust levels – cornerstones of relationships – all develop over time. To capture contact details, your site needs to have a lot of engaging content, from case studies and white papers to videos and industry news that demonstrates your connection with your marketplace. Really we’re continuing on from point 2 – nurture doesn’t happen overnight, and therefore you need to understand the average buying cycle in order to build the correct length and depth of marketing campaign strategy. Don’t try to rush things either. It takes time to build a stack of compelling content, and time to build a significant database of engaged prospects. Once you’ve got that database, send them regular emails with free information and special offers – continually add value. Look after the database because it is possibly the most valuable marketing asset you possess. Experiment with different content formats until you can find the right piece of collateral for each stage of the journey, to help you optimise conversions. Also, when a prospect is verging on purchasing your technology, don’t forget they will need knowledgeable one-to-one customer support. Your existing customers will come up for renewal once their subscription expires or can cancel at any time if they’re on a monthly contract. That means that they are also prospective customers, so treat them as such. Get them on-board painlessly, engage them in a community, keep them informed of product enhancements and help them maximise the value from the solution. At a minimum you should send them a monthly newsletter; that can just be a round-up of previous blogs, and potentially customer testimonials and case studies if available. Where we’ve had clients that sell into large multi-dimensional companies we’ve written them internal case studies they can use to upsell to other divisions and regions. Where possible, however, you should look to personalise content around your clients’ key business challenges, and their point in the technology renewal cycle. The volume of marketing activity you can carry out is almost limitless, and thankfully there is a huge range of software available to speed up and/or automate some of the processes involved. And there’s something for every budget – from effective, but basic, email marketing software like Campaign Monitor or Mailchimp, to complex and powerful marketing automation software like HubSpot or Infusionsoft. There’s then analytics tools, social media, PPC and more. Rather than being seduced by the latest bright shiny object, and having software forced upon you by your agency because they are a reseller of that software, firstly plan your marketing strategy. Determine where you are now and where you want to be, write your list of requirements and then find the best software for you, and continually evaluate this guide to ensure your investment keeps delivering. We worked with one client for 3 and a half years. At the beginning marketing was new to them and we used simple but effective software in silos like Campaign Monitor for email marketing, HootSuite for social media, WordPress for the website and manual reporting worked for them. As they grew and were in a position where they had too many leads a more powerful solution was required. After evaluating a number of suppliers we went with HubSpot and supported them in setting that up and powering it. Xander Marketing has worked with and looked after and performed the marketing function for a number of SaaS companies. It’s this experience, and experience with SaaS businesses that makes Xander Marketing a great choice for businesses that value marketing but don’t have the time, resource or know-how to do it themselves.